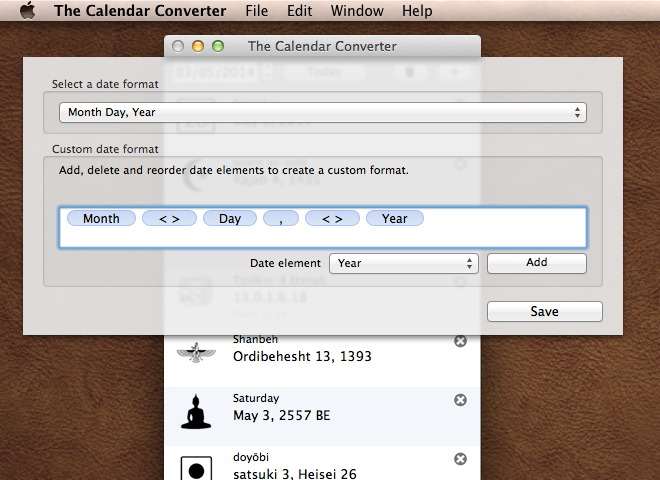 This Mac OSX application converts dates between 15 calendars. 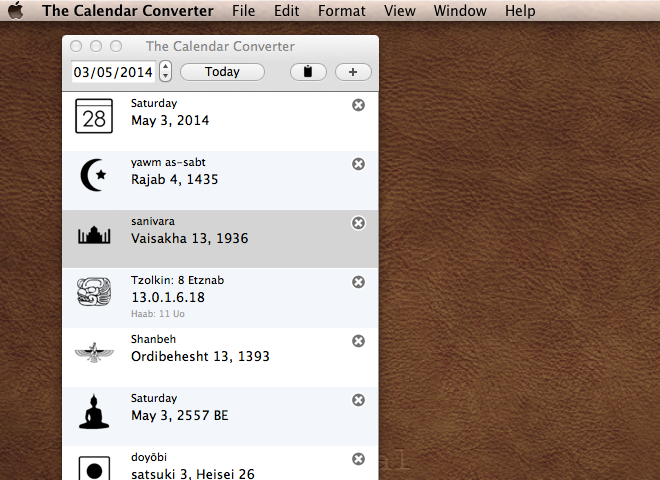 Calendar Converter is easy to use. Add or remove calendars from the list, to only display the calendars you need. Use the Gregorian Calendar date in the toolbar to quickly go to a date. Copy the selected date to the clipboard. Go to the preferences to select one of the standard date formats, or make a custom date format.